Bob Ford was back at Hog Hill this week again on a mission after his 10th place last week. This time it was another win for him in the 'F' cat, his second of the series. It came down to a bunch sprint at the end and Bob got himself 5th overall along with his category win. Great consistent work from Bob and great to see him back on the top step again! Phil Cole, Luke Monahan and Chris Wilson went to Weymouth on Sunday for the last of the Mud Sweat 'n Gears crit series. 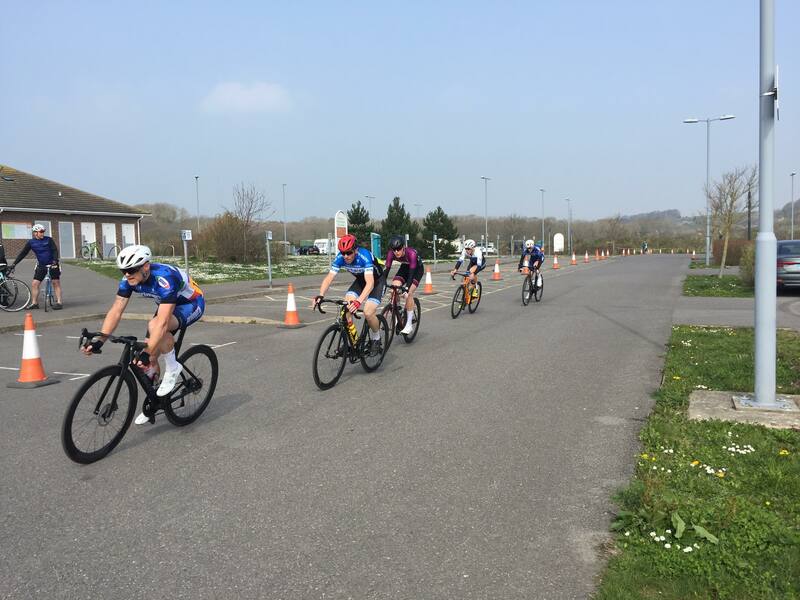 It was cold and windy on the course and Luke and Chris started with the cat 3/4 race, which was fast and furious on the twisty tight track, where the guys finished in the mix in the second group. Phil then joined Luke and Chris in the cat 2/3 race. There were several breaks throughout and Phil did very well to bridge the gap with two other riders but that didn't leave them with much for the end but it was a strong 9th place for Phil to finish. "Stage 1, the prologue, I placed 11th from 82 riders. 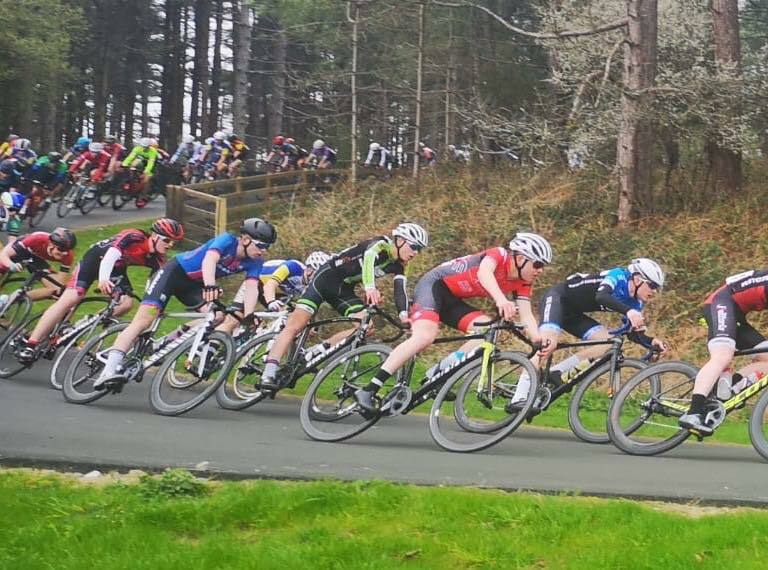 Stage 2 a 1hr circuit race where the majority of the field stayed together, various attacks throughout. I tried to go with a few but nothing stuck for long. The last break I was in there and was 6 of us working together but we got caught with 6 laps to go. Ended in a bunch sprint and most riders received the same time so the GC stayed the same for most. Day 2, stage 3 on the same circuit but reverse direction and they added some tight turns. This stage was 1hr30, riders were tired after day 1 and dropping off every lap. 1 rider off the front gained a 40 second lead and the front group I was in was down to about 35 riders. Unfortunately in last 1km there was a touch of wheels, the majority of this front group crashed or forced onto the grass. I think only 15 riders carried on without having to stop. BC ruled that all of us in that front group would receive the same time as it was within the last 1km. I finished 11th overall, pleased with the result as I’m only a 1st year in the U16 category".